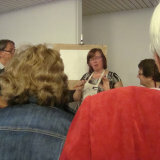 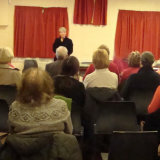 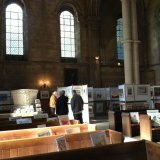 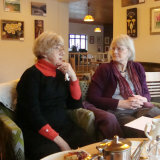 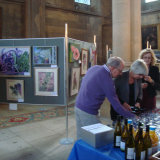 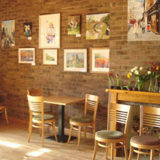 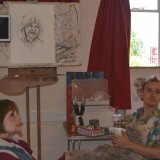 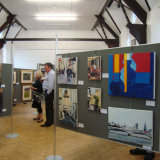 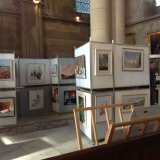 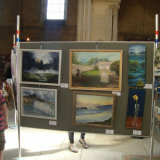 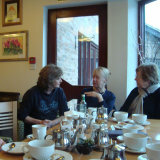 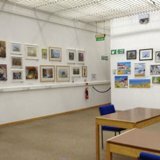 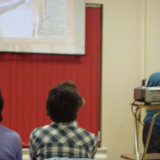 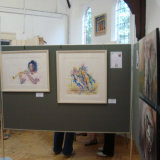 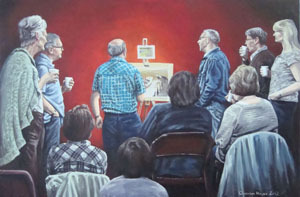 Photos from MKSA exhibitions, coffee mornings, painting days, workshops and monthly meetings. 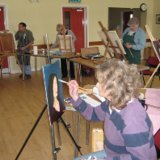 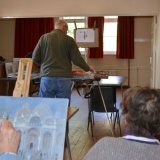 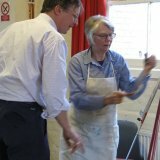 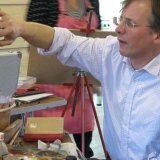 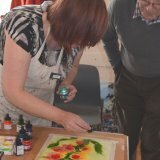 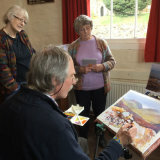 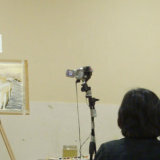 The monthly meeting usually involves a painting demonstration by a guest speaker, who may then run a workshop the following day. 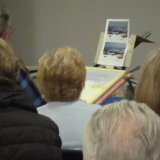 This painting, The Art Demonstration, was inspired by one of our monthly meetings, and was painted by Charmian Hayes, who obviously wasn't paying attention to the subject of the demo, which was how to paint boats. 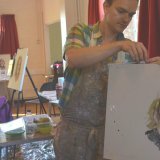 Click on any of the thumbnails below to see the full picture.